Happy 4th of July! 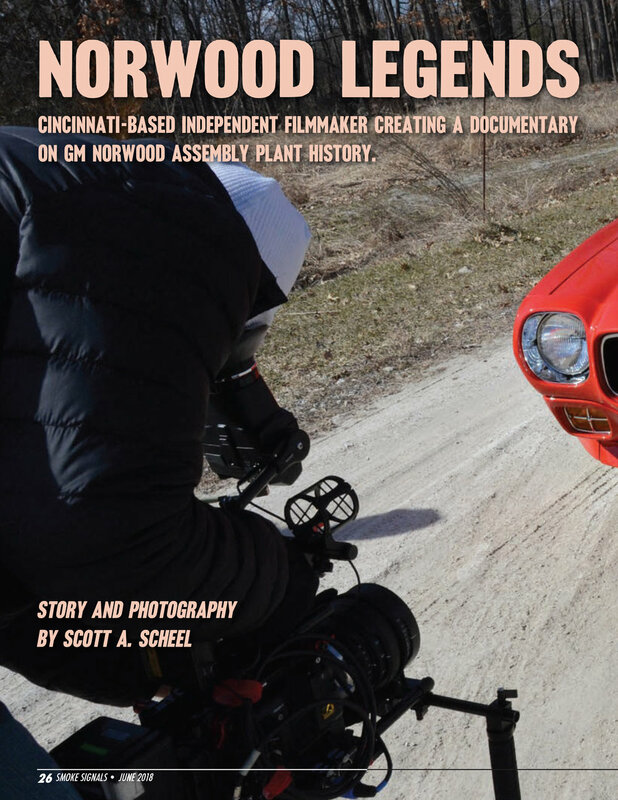 Find out what's happening on the upcoming Feature length documentary, "Norwood, Where Legends Were Born!" Check out the video above to find out what's going on with our feature documentary, "Norwood, Where Legends Were Born." We're not quite finished with the full blown documentary yet, but we're making great progress thanks to all who supported and invested in this project early. Unfortunately, we didn't quite raise the full amount of our fundraising goal last year that would have enabled us to finish the film by this summer, but the edit is really coming along well, and with the interviews and material we have been able to gather thanks to your support, we're building a deeper richer story, and we do expect the film to be finished soon. This summer, we'll be rewarding early investors who signed up for the pre-sale last year with a special bonus disc of content with over two hours of unique Norwood-focused content. Once the film is completely finished, we'll of course ship it straight to your door, but this is a "Thank You" for believing in us and an ask for just a little more patience while we finish this amazing story. It will be worth the wait...we promise! 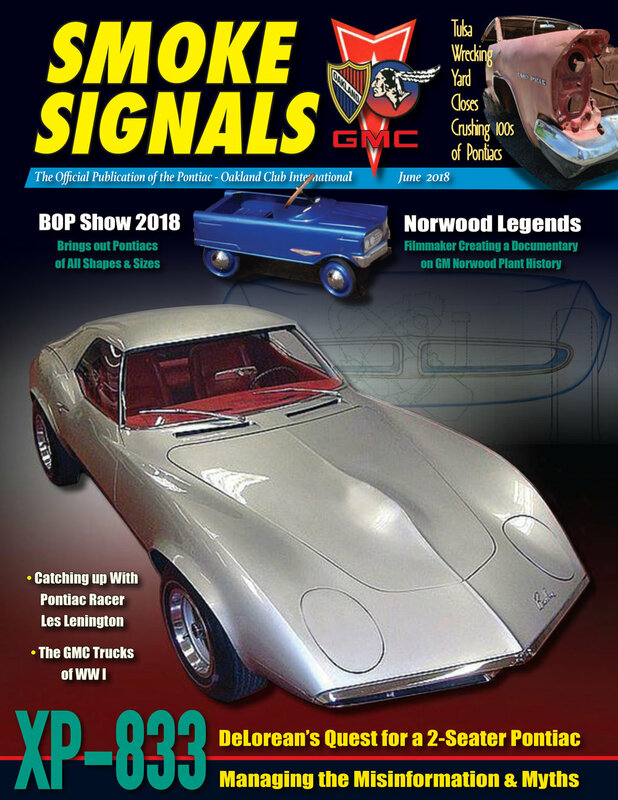 We hope to see you at the Trans Am Nations, the Norwood Legends booth at the Smyth Automotive Car Show this fall, or around the classic-car world as we work toward completion on this project. 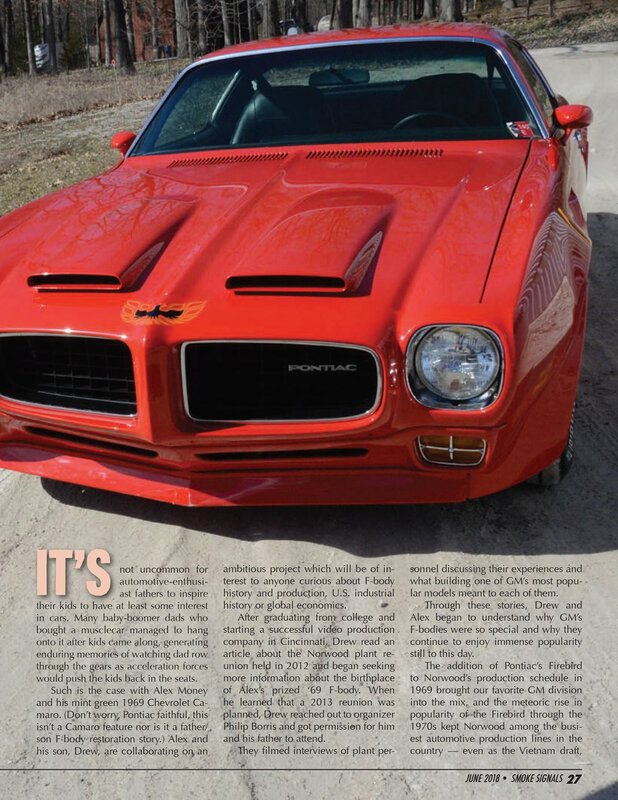 In the meantime, check out the images below to see the feature article in the June edition of Smoke Signals Magazine, the official publication of the Pontiac-Oakland Club International. A special thanks to POCI for featuring us and allowing us to share this article with all of you. 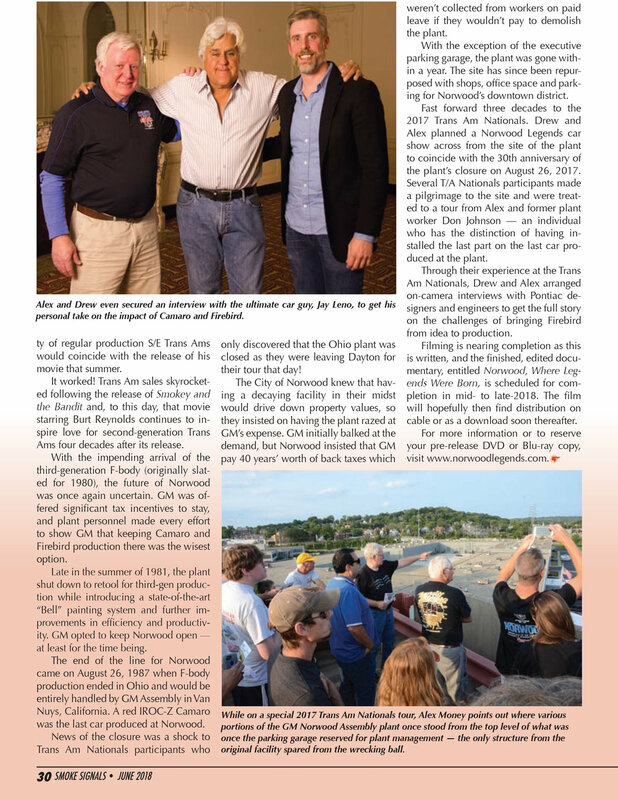 It highlights the work we've been up to throughout the winter as we interviewed some living legends like Jay Leno, Bill Porter and John Schniella to name a few. As always, please feel free to reach out via the Contact Page with any questions on our progress, and MANY MANY thanks to those that have dontaed and are helping make this special story a reality. We wish you a very happy and safe 4th of July!! Older PostThe Norwood 30th Anniversary Commemorative Poster is Going to Print!